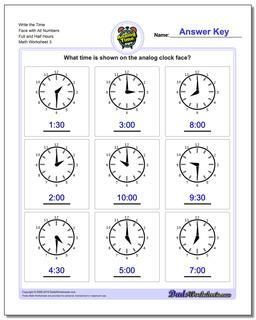 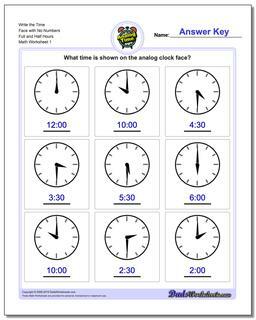 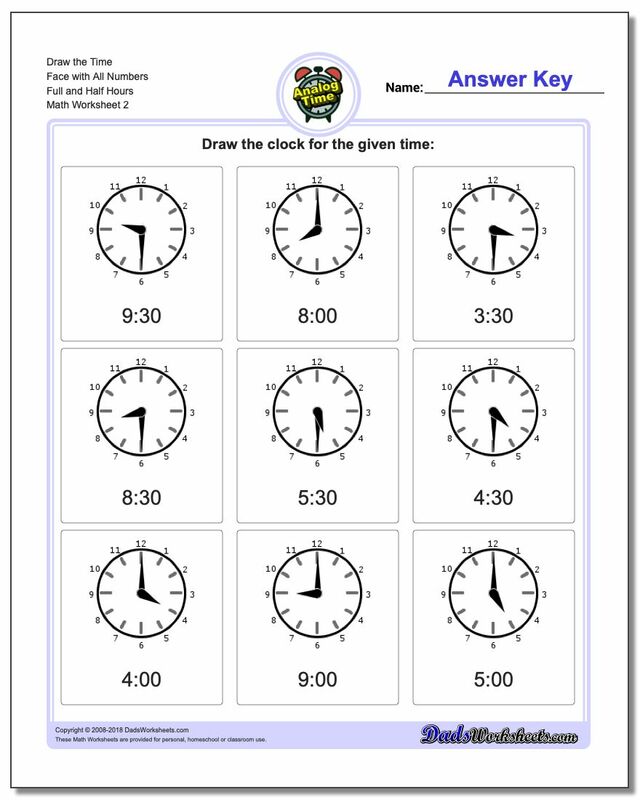 This section contains worksheets for telling analog clock times at full and half hour intervals. The first introduction to the minute hand is often best explained by looking at the analog clock face and identifying when the hand has moved half-way around the face to indicate that a half hour has passed. The clock faces here clearly show how the hour hand also moves proportionately so that it is halfway between the two hours. 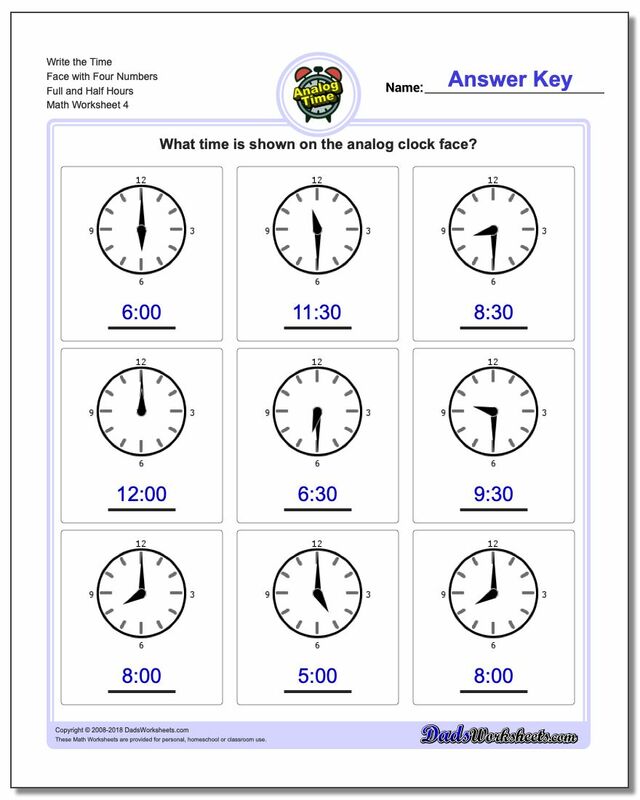 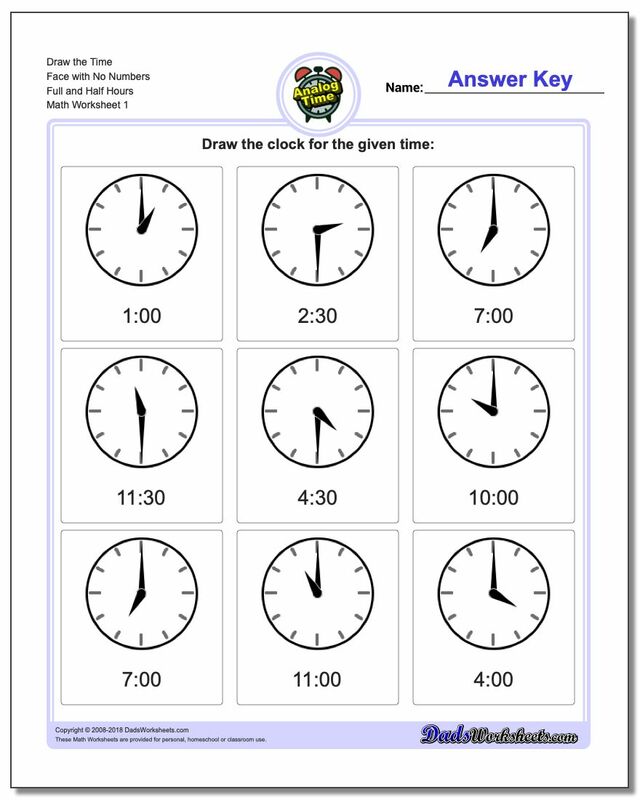 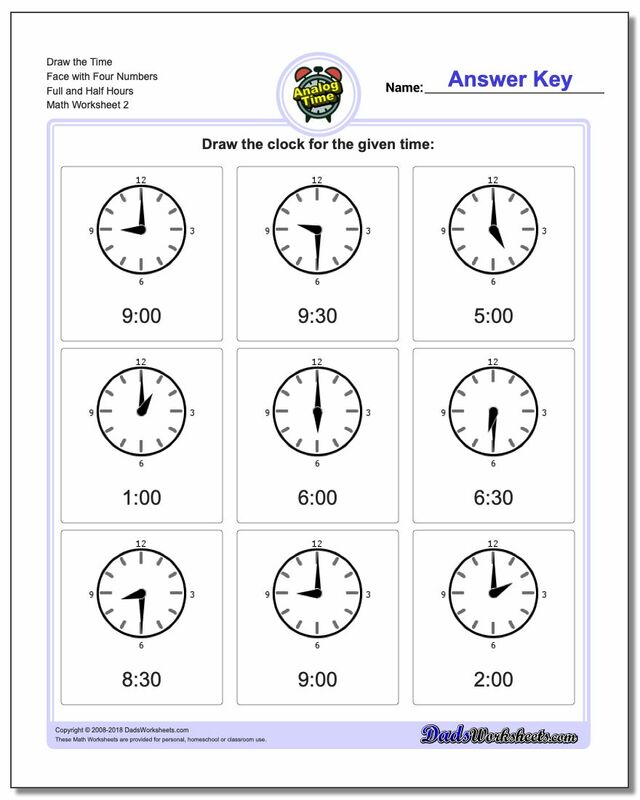 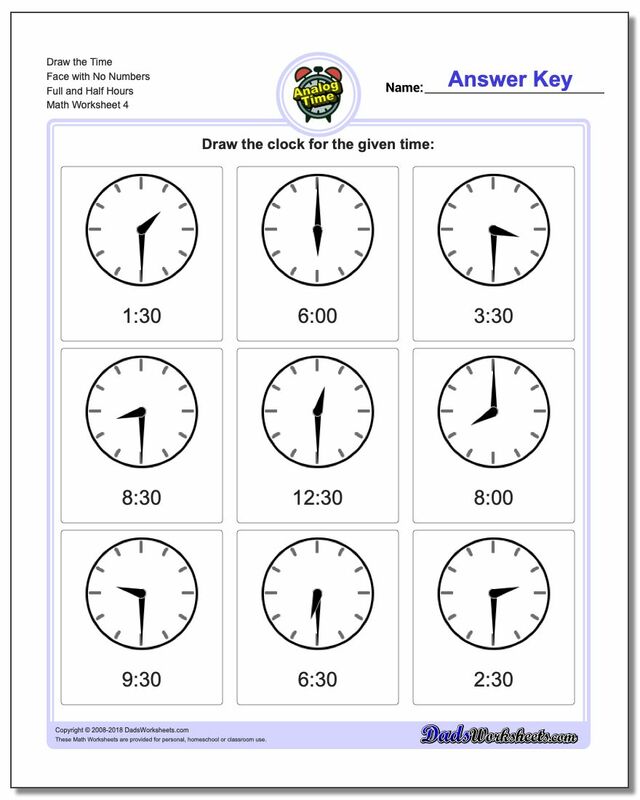 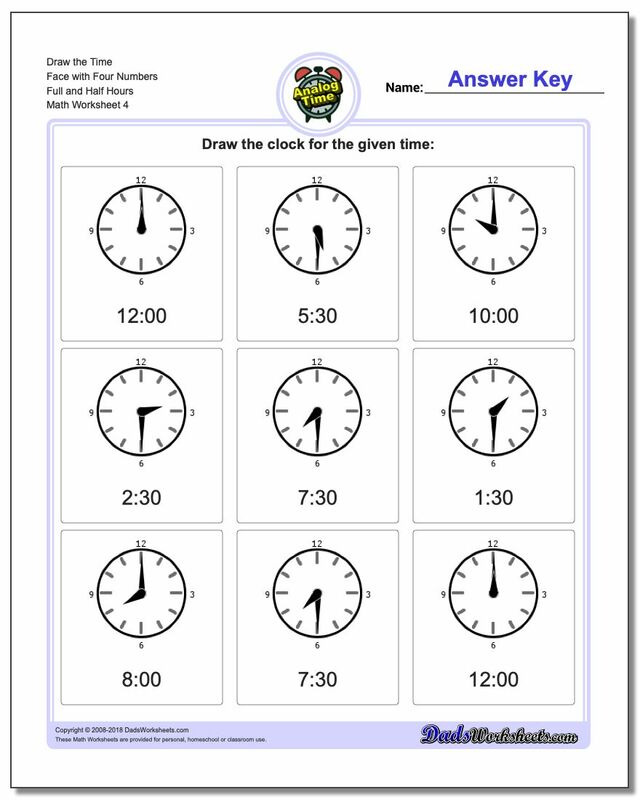 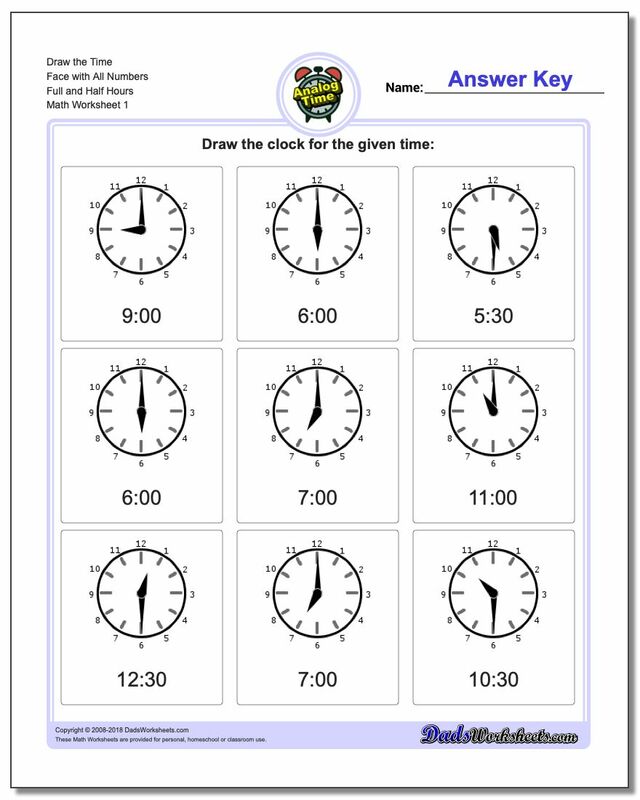 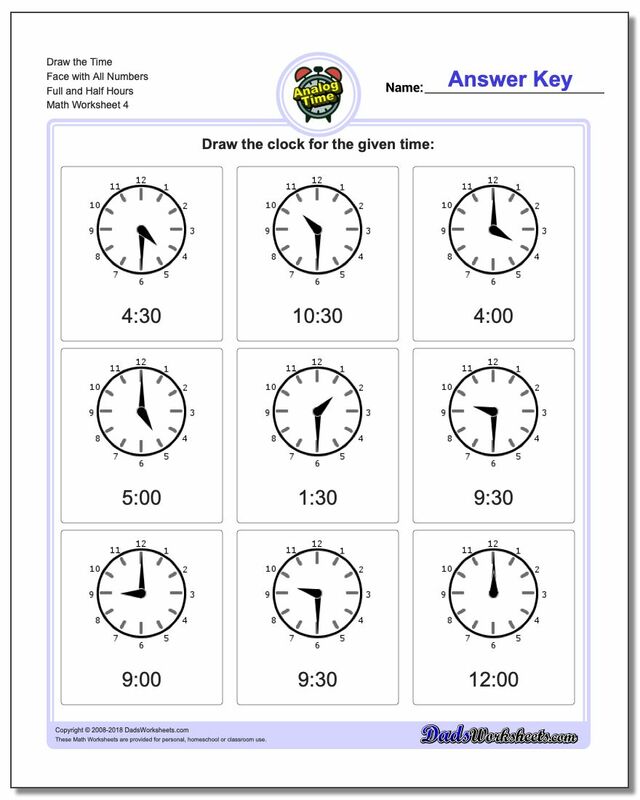 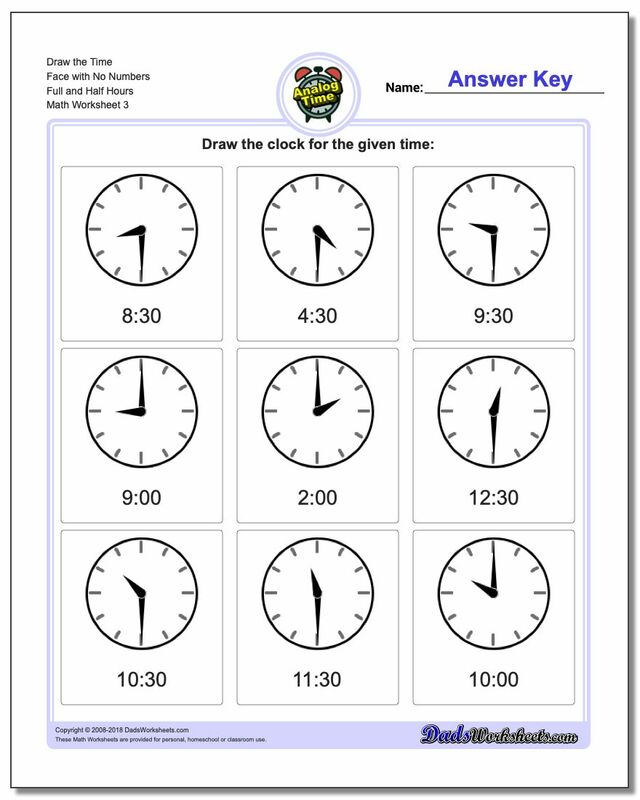 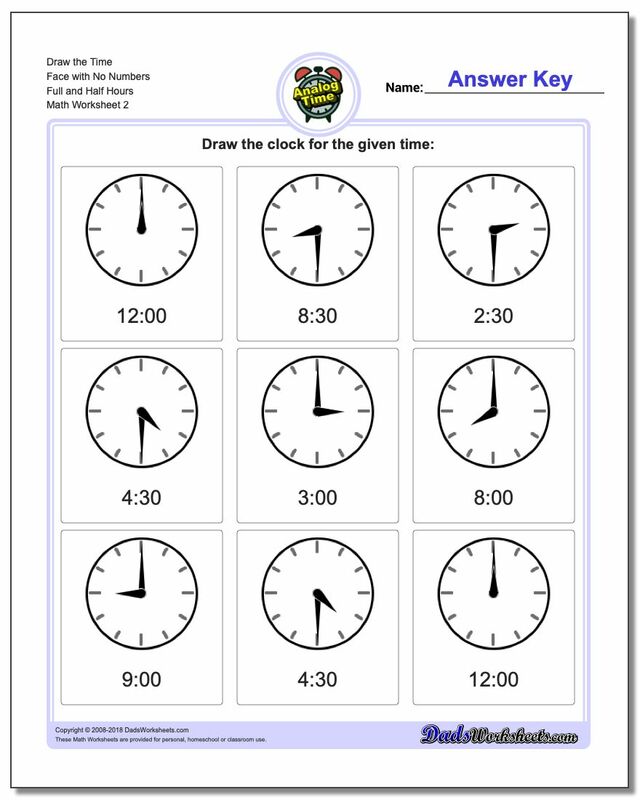 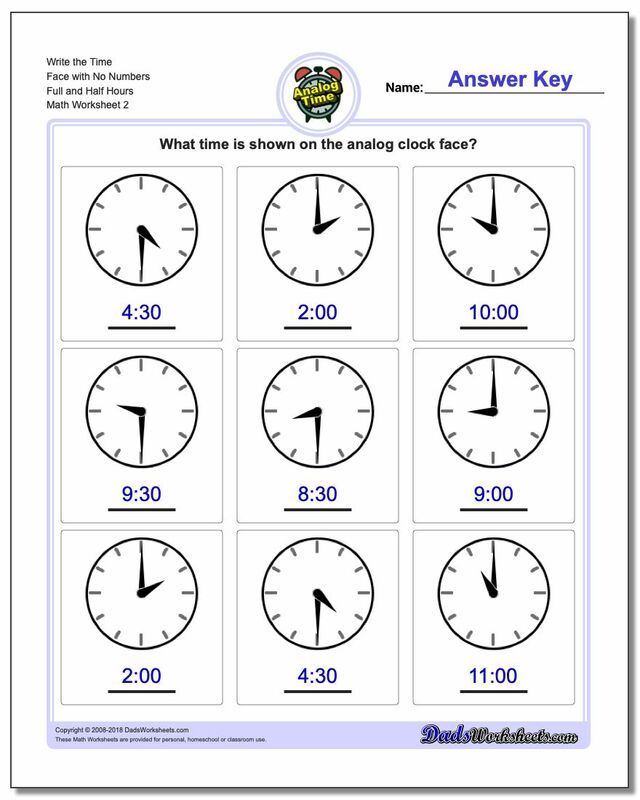 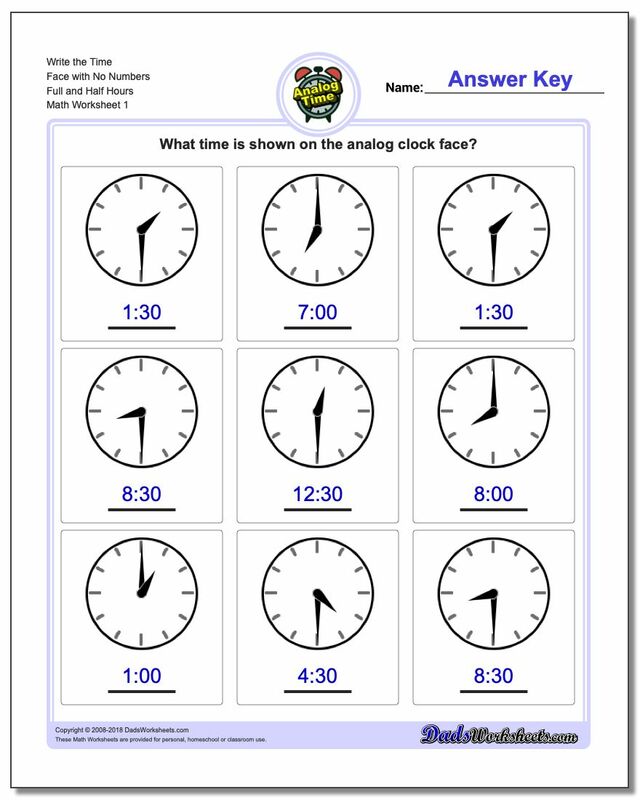 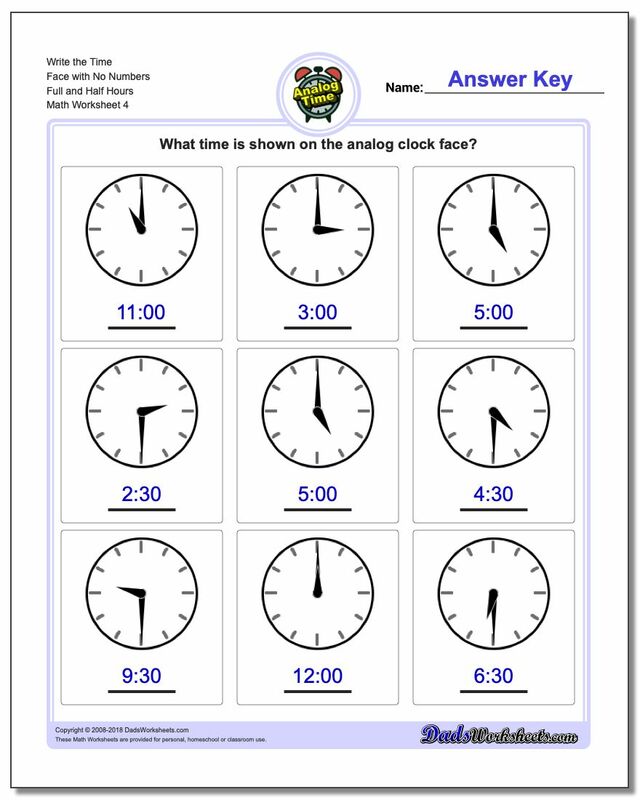 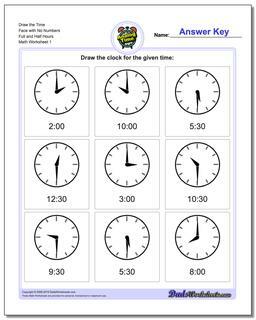 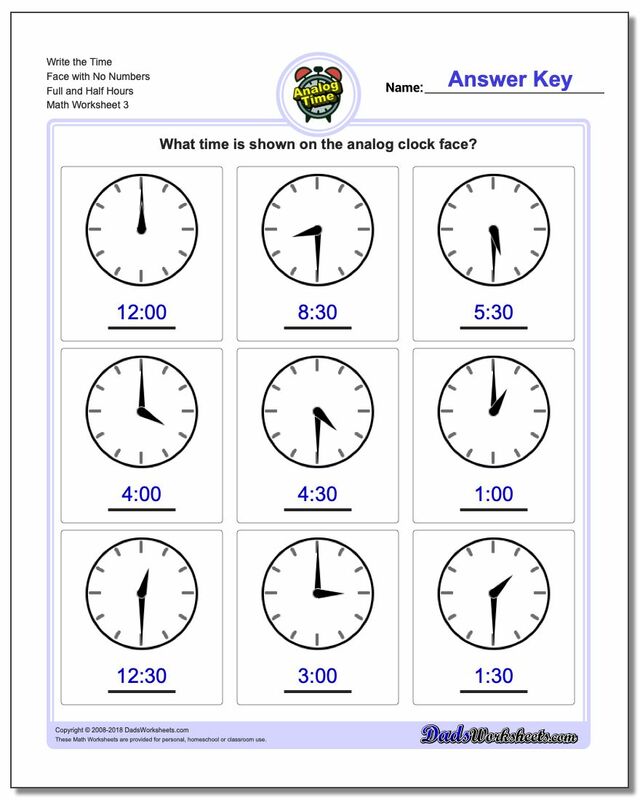 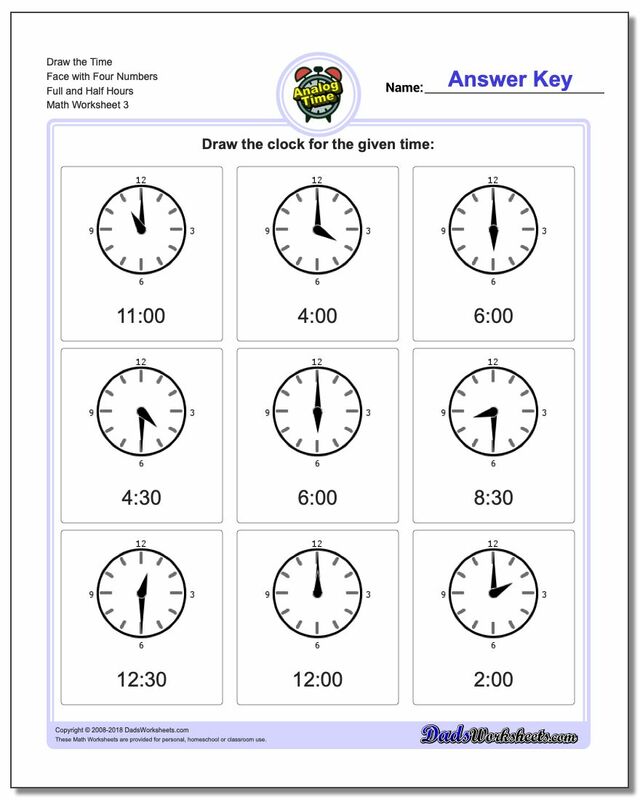 Try these printable telling time PDFs when students are capable of reading whole hours, and then gradually introduce them into reading individual minute and counting by fives on the clock face using time worksheets in the next sections.